Japanese Flowering Cherry is a small, narrowly fastigiate deciduous tree with beautiful, coppery-red, glossy, peeling bark. Its pink flowers that are nicely fragrant and single to semi-double, sometimes emerging into small black fruits. Young leaves are yellow-green, then dark green leaves before turning yellow in autumn. 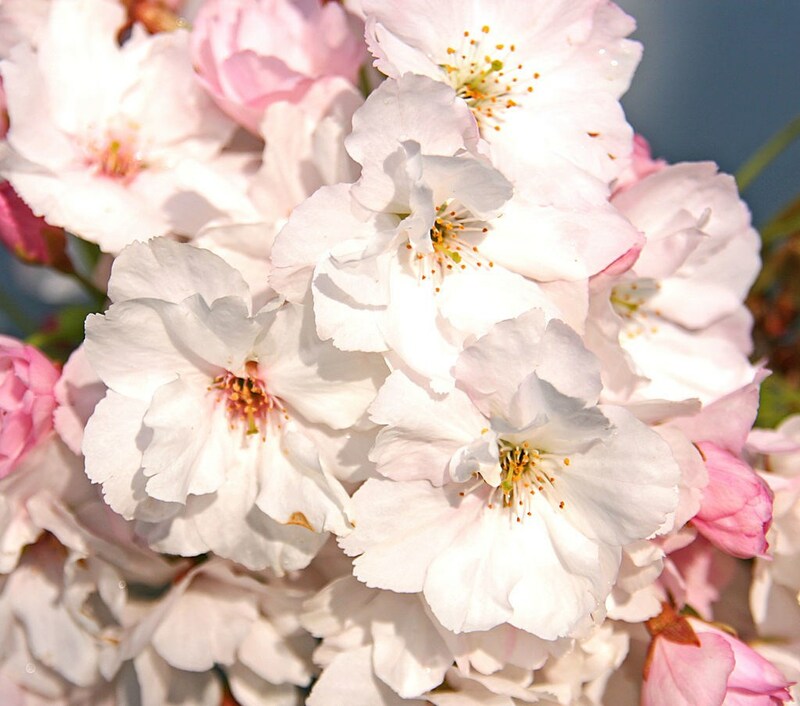 Prunus serrulata Amanogawa’s flowers are followed by ovoid cherry-like fruit, 1/2 inch long. It prefers moderately fertile soil in full sun.